Don't be lazy, if you want to know more about who the hell Echopark are/is - ahhh the mystery! - then go to our introducing piece, if your not too fussed and just like to listen to the music then stay here and ignore my writing. "Gray Clouds" is a much smoother number than the glitchy and addictive "Teleportation" and more on the indie/electro-pop side of things - although "Teleportation" wasn't exactly lacking in the indie electro-pop department. I'm not really hearing any similarities to Porcelain Raft other than having the same genre tag, but if others are then who am I to judge. 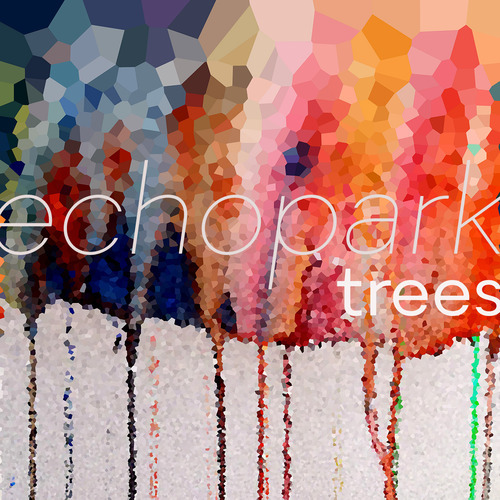 Echopark's debut, Trees, is set for release through Enclaves and will be available April 15/16 in the UK and US respectively.